Just to be straight from the start, this is a charity fundraiser, not a giveaway. And I’ve never done this before, so please bear with – I think I’ve covered everything, but if you spot a howler, please let me know! I am lucky enough to have an extensive collection of seeds, and (I think) it includes some interesting varieties. I can’t possibly grow them all, and I’d like them to do some good elsewhere. So I’d like to offer some out, in return for a donation* to Kingston Samaritans made through my JustGiving page (pls click on link). I chose Samaritans because I lost someone I loved very much nearly 20 years ago and I wish she had had more help. Blue Monday seems an apt day to start this too, and it ends on Saturday 4th Feb. I will cover the costs of 2nd-class postage** so 100% of your donation goes to the Samaritans. Update: this fundraiser ended as of 9pm 26 January. Thanks so much for all your interest and support. Follow my blog if you aren’t already following, because I need to be able to contact you. If you aren’t there as a follower, I’m sorry, but no seeds. Choose the seeds you would like from the list above, and add that as a comment below. There is a maximum limit of 5 packs per person and only one of each variety. Wait for me to confirm that the seeds you want are available and to ask for your address. (in case this turns out to be hugely popular) Please, don’t stick all your personal information in the comment box, as it will all be edited out. After getting confirmation, make your donation – and please make it clear who you are. Without psychic powers it’s hard to match an email of mrmousetrouser@anymail.com with Paul Jenkins in Worksop, and if I can’t match you to your seed request you won’t get any seeds. (caveat: I don’t know any Paul Jenkins…) My JustGiving page is here. Please don’t donate without my confirmation – just in case a variety has run out before I see what you want. Seeds will go out asap 2nd class after your donation is made and on a first come, first served basis. I’ll cover costs of 2nd-class postage so all your money goes to Samaritans, which is why this is to UK residents only. Let me know how the seeds do – I really hope you enjoy them. *All packs of seeds are at a suggested donation of £1.75 each, bar the oca tubers which for which I’d like £4.50 per pack. **Open to UK residents only. Closing date: Saturday 4th February, or earlier if the seeds run out! I so hope this is nice & straightforward! Hi Beryl. I would be happy to have a go at growing whatever you have left and donate to such a worthwhile fundraising cause. I really don’t mind what or how many. I have had past experiences (family, clients and self) where Samaritans have played a part. Thanks. That is very kind of you, thank you! Please could you donate via https://www.justgiving.com/fundraising/Beryl-Randall and I will be in touch for an address to post the seeds. Best wishes Beryl. Hi Paul – thanks!! The seeds came from a 2014 seed circle and I have been growing them for the last 2 seasons. They are such a lovely colour as well as flavour that they are a must-grow each year. I’m going to keep a better eye on the seeds this year – I got a bit distracted! Hi Beryl, Have received my seeds, so looking forward to sowing them. I see you’ve received nearly £300 – well done. Thank you for letting me know – and yes, you lot are fabulous! Beryl, seems my request hasn’t reached you. Can I have Oca. I will pay once you confirm . Hope you get good going like this everytime. Can I have Oca. I am really sorry but all the oca has gone. I’m just updating the lists now, but there isn’t much left. Hi Beryl, just wondered if I could have some of the Kent blue and magnolia blossom peas and some trail of tears beans please .. I have added my email address and will verify it when I check my emails … I think it is a wonderful thing that you are doing and I will happily donate £10 ..
PS Loved the extra comments, but I’ve removed them as this comments thread is going bonkers! My emails to you aren’t getting through. If you have a moment, please can you send your address to me via the contact-me form on the About page? It won’t show up on the website and will go straight to my inbox. Thank you – and I do really remember what it felt like starting with zero experience! If you’re getting into seed saving and you tweet, I’ll be running another Twitter seed circle this season – open to anyone. It’s a great way to share (and get!) unusual seeds in manageable quantities. Hi Beryl, if you have any left could I snag some Flat White Boer Squash, Red Buffalo Horn Tomato and Purple Ukraine Tomato. Thanks! That would be fine, thanks. Have you still got your 2 varieties of squash available? Good stuff, I’ll take both lots. I have just put my donation in the just giving page. Hi Beryl, Please coud I have 3. Cherokee trail of tears beans, 8 Kiwano, 12 Purple Ukraine Toms, 18 Red Buffalo Horn Toms, 24 Parsley peas. £15 donation when you let me know! Looks like you have blown your target! Fab and thrilled for you and the cause. Hi Beryl. What A fabulous idea. I’d love numbers 4, 12, 19, 23 & 24 if possible. Gosh Beryl you are such a busy bee, what a lovely idea. I would love some of the Kent blue pea and the parsley pea and a packet of the lemon drop chilli if they are still available. I would love some Flat White Boer squash and Thelma sanders squash please! Any black tomato and a Japanese squash. Good luck with it all. Hi Beryl. Can I try a Purple Ukraine tomato and the Magnolia Blossom Tendril Pea please? This is a great idea. We think your idea of supporting Kingston Samaritans is great and would like to support it. (My late sister-in-law who taught at Kingston Uni committed suicide 10 years ago.) These are the seeds we would like if you still have some left. Black Cherry toms, Cherokee Trail of Tears, Geraumon Martinique, Oca (any) Thelma Sanders. I’m very sorry to hear about your sister-in-law. It’s awful to go through. I managed to shift the post over, and you’ve got the last pack of Thelma Sanders! Please could you donate via https://www.justgiving.com/fundraising/Beryl-Randall? I will then email you for your address and send the seeds. I’m glad you like the blog, and do say hi to Maurice from me when you next see him. He’s a wonderful man! Please could I have some of the magnolia peas, Thelma Sanders and Shishiganati squash and a pack of oca? Thank you very much. I have just made the donation. I am really looking forward to trying to grow them all. Hi could I have dancing with smurfs tomato, Kent blue pea (if there are any left) and Kiwano please. Any chance of addinbg Cara la Virgen peas please? Erk, sorry no. They went in the post yesterday evening. I can bring a pack to Wisley if you want? They don’t need sowing till April…you may need to remind me though! I have plenty – I got nearly a kilo of dried beans from 10 plants last year. I think I must be a bit dim. How do I notify you which seeds I want? Hi Clare – you just pop your wishlists on the comments thread. You won’t see it at once because I need to click ‘approve’ on my end. The peas appear to be going fast though. I may have to see if there are any spares lurking in the boxes! Hello, very kind of you and excellent choice of charity. Plan sounds good to me, and you have a buyer 🙂 am interested in 16. Thelma Sanders Squash 14. Sandpoint tomato 11. 1 pack oca and 12. Kiwano. Lovely. Paul Jenkins here what do you mean you don’t know me? I don’t know how you did that, but full marks, you got me! That’s great Beryl, thank you, just donated so it should be with you soon. P.s I spoke to soon re the delinquent cat, she’s got the netting off & back to her old tricks, anyone want a cat? 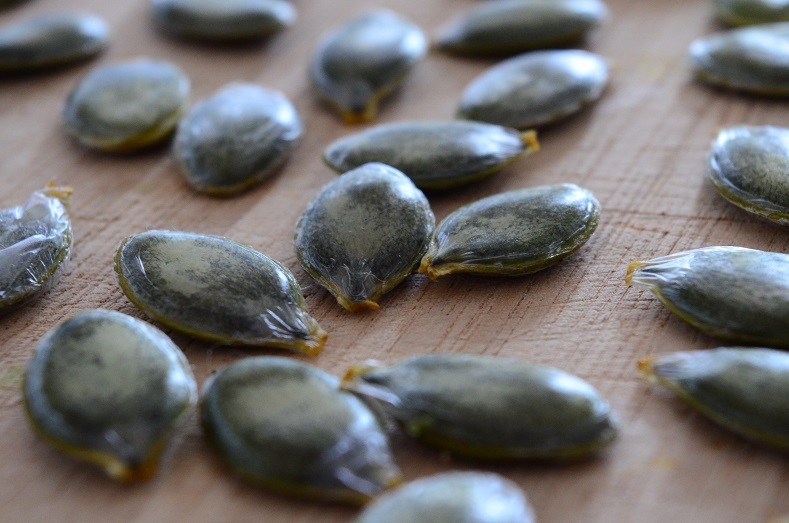 They are set aside for you – I’ll pop them in the seed parcel when it goes out. Please can you sort the donation via https://www.justgiving.com/fundraising/Beryl-Randall? I will donate £15 to the Samaritans on the JustGiving site. Good luck, hope you raise lots of money for a worthy cause. That’ll help me keep track. As soon as I see the donation on the site I’ll post off the seeds.